Geek. Of. The Week. Are you ready?! This week we are going to jump right into it. But before we jump into it, let’s just give a bit of information on Geek of the Week. GOTW is a weekly column run by the entire CloudWedge staff (all 9 of us…and growing). It generally takes us roughly one hour to choose a winner. More often than not, someone wins if his/her company has made significant headlines over the past week. However, that is not always the case. With that, we are proud to announce this week’s winner. 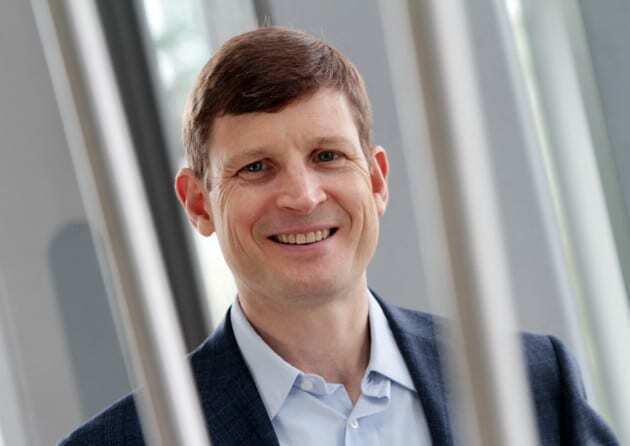 Congratulations to Kris Hagerman, CEO of Sophos, on being named this week’s Geek of the Week! It is no secret that the cloud industry on a whole has grown significantly over the past few years. Naturally, there have been many flaws in the security that is currently in place. Due to this, the cloud security sector alone is estimated to be close to $100 billion annually. Sophos is one of the companies operating in the cloud security field. They made headlines this week when they announced a new cloud server protection product that simplifies the process of creating a safe and secure cloud VM environment. How simple? It’s a one click process of securing your cloud based servers. As for Mr. Hagerman: prior to Sophos, Mr. Hagerman worked at Symantec, managing more than 30% of their global revenues. He was also VP and GM at Veritas Software, CEO of BigBook, and held a position at Silicon Graphics, and others. According to the Sophos website, Mr. Hagerman has a bachelor’s degree in Russian and economics from Dartmouth College, an M.Phil. in international relations from Cambridge University, and an MBA from the Stanford Graduate School of Business.